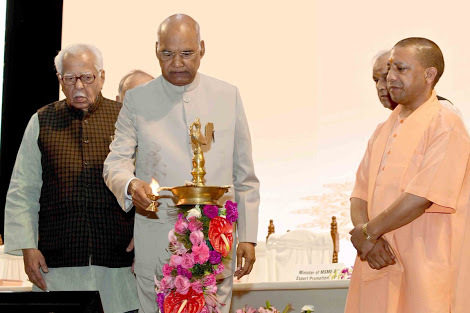 The President of India, Ram Nath Kovind, inaugurated the ‘One District One Product’ Summit in Lucknow, Uttar Pradesh. The President noted that under the ‘One District One Product’ scheme, the state government has set a goal of providing employment to 25 lakh people in five years through the financial assistance of Rs. 25,000 crores. He expressed hope that this scheme will create large number of employment opportunities for the youth and strengthen the inclusive and sustainable development of Uttar Pradesh.